• Agent Spinner Casino Review - A Good Selection Of Games? 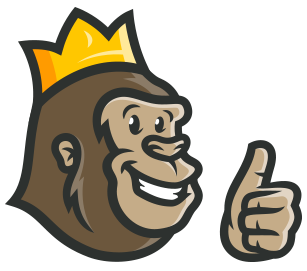 Another day and another online casino with a rather strange name that the Casino Gorilla is called upon to review. 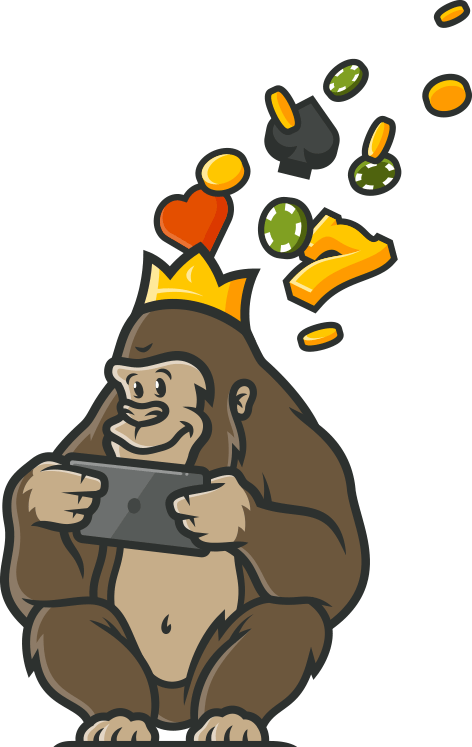 Of course, he has seen casinos come and go, so nothing surprises the big fella too much when it comes to online gambling sites. Agent Jack Spinner is your guide – sort of a cartoon James Bond figure except without all that nasty violence stuff and with more gambling and Margaritas. Other characters are the supportive Emma, the Banker and the Professor, who is the brains of the operation. Now the Casino Gorilla is going to discover whether this motley crew are running a decent online casino or not. There is a fairly unexciting welcome bonus option for new agents (or players) with Agent Spinner Casino. The welcome bonus allows you to claim a 100% matching bonus to a maximum of £50. Wagering of 50 times the bonus money is required in order to release your funds. One additional bonus is offered to new players in the form of 100 free spins on the Spinions game. To claim this, you must verify your phone number by SMS and you will earn 10 free spins for 10 days. Every day you wait after registration before verifying your phone will lose you 10 free spins, so do not delay if you want to claim those spins. All told, the bonus is pretty unexceptional, and the Casino Gorilla is none too impressed with the limits on how much can be won. The free spins offer at Agent Spinner Casino is quite unusual in that players are required to verify their phone number in order to claim. There is a total of 100 spins up for grabs on the Spinions game, parceled out in lots of ten per day. Every day after registration that you do not verify your number means you lose another ten spins. There is a quite restrictive £50 maximum that can be won from your 100 spins, and a 50 times wagering requirement on those winnings. Quite a lot of small print to claim these spins. New players must enter the code WELCOME OFFER when depositing between £10 and £50 to claim the 100% matching deposit bonus. Fail to enter the code and you will lose out on your welcome bonus. Not exactly the biggest prize to miss out on but still, no point in passing up on a bonus offer. Check all promotions carefully to see whether bonus codes are required for them too. The live dealer casino is powered by Evolution Gaming, which is another plus point for Agent Spinner Casino. These games include classic roulette, blackjack and baccarat, but that is not all. You will also find many variations of these, plus Dream Catcher and Triple Card Poker. Not the largest selection of different games in the world, but enough to keep the casual live deal gamers happy. Speaking of keeping players happy, mobile gamers will have no trouble accessing this casino no matter where they are. Simply log in to Agent Spinner as normal from your phone or tablet browser and start playing your favorite game. The site design is quite simple, which makes it easy to navigate on a device with a smaller screen. Android and Apple devices are all perfectly compatible with this casino. The banking options available from Agent Spinner Casino are MasterCard and Visa cards, Neteller, Skrill EcoPayz, Trustly, PaySafeCard and Bank Transfers. Minimum deposit is £10 and the minimum withdrawal is the same, although for bank transfers that will be larger. Payouts are processed in 1 to 3 working days, with electronic wallets being the fastest payout option. There is a withdrawal limit of £5K per transaction. By scrolling down to the bottom of the casino page you will see the logos of the Maltese Gaming Authority and the UKGC which are major votes of confidence in the security of this site. Data is protected by encrypted software and all the games are independently tested to make sure they are fair. This may not be the most exciting of online casinos but it is certainly a safe one to play at. To be honest, the FAQ section at Agent Spinner is a pretty lazy affair. Looks like our secret agent friend was too busy downing cocktails to bother to create a decent Help section on this site. Luckily there is a customer support team available to help in English and a variety of Scandinavian languages. You can get in touch via live chat or email, and the team is available between the hours of 9am and midnight CET. There is a big list of restricted countries where Agent Spinner cannot be accessed from. We are not going to give you all of them here so check the terms and conditions for the full list, but here are some of those restricted territories: Brazil, China, Czech Republic, Denmark, Djibouti, Dominica, France, India, Ireland (sports betting prohibited), Spain and the United States. Agent Spinner is a relatively new casino, having launched in 2017, but does not seem to have carved out a clear identity for itself. The secret agent theme is pretty weak, and does not seem to have been really thought through. The welcome bonus is not exactly extravagant since it just goes up to £50, but the free spin no-deposit offer is a decent one. And what this casino has got right is the very nice selection of hundreds of games. This is a new casino and there is room for improvement, but hopefully this secret agent site can be like Sean Connery and get better with age. Only a 50 bonus and a 50x wagering requirement on it. Way to high compared to other sites. Loved their selection of games, never got bored with anything. However, there is no live support, which was kind of a surprise for me as all modern online casinos do have this feature. Being a fairly new casino, I think they still have a long way to go.